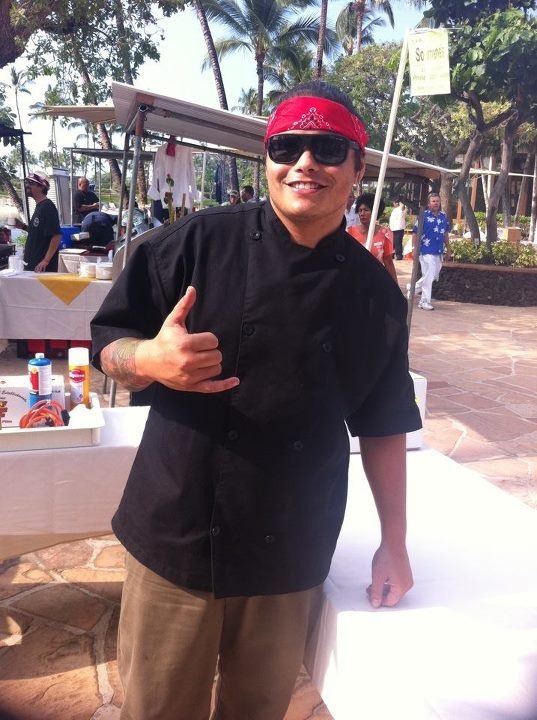 Kings’ Shops is partnering once again with the American Culinary Federation (ACF) Kona Kohala Chefs Association with the return of the Culinary Arts Under the Stars event February 22, 2014. Last year’s event sold out and this year, 100 more tickets will be available for purchase. Tickets are going fast! Just $45 in advance or $55 at the door and can be purchased at Maui Divers Jewelry in Kings’ Shops or at www.KingsShops.com. Kenny C will be performing at Center Court Stage next to the wine and beer garden. Scrip for beer and wine will be on sale for $5 during the event. Coffee and water will be available for purchase at Kings’ Coffee. It will be an exciting evening of food tasting throughout the center presented by the top chefs from restaurants of the Kohala Coast. Participating restaurants include Merriman’s Mediterranean Café, Roy’s Waikoloa Bar & Grill, The Three Fat Pigs, Hawaii Calls of Waikoloa Beach Marriott Resort & Spa, Kamuela Provision Company of Hilton Waikoloa Village, Romano’s Macaroni Grill, Sansei Seafood Restaurant and Sushi Bar, Lava Lava Beach Club and Mamane Street Bakery. Students from the Hawaii Community College-West Hawaii will create exceptional desserts and salads for two tasting stations. “One hundred percent of the proceeds will go to the ACF Chef & Child Foundation program which will benefit children right here on Hawaii Island,” said Steve Schwartz, General Manager of Kings’ Shops. A silent auction with donations from many of the Kings’ Shops retailers and restaurants will be held from 5 p.m. to 7 p.m. Schwartz continued, “Maui Divers Jewelry has donated a 14k gold Hawaiian Wave Pendant and an 18 inch 14k necklace, valued at $995. This is just one example of the generosity shown by our tenants, which is truly admirable.” Items for bid will be placed online to view prior to the event, visit www.KingsShops.com. The CCF mission statement is “To educate children and families in understanding proper nutrition through community based initiatives led by the American Culinary Federation chef members, and to be the voice of the culinary industry in its fight against childhood hunger, malnutrition and obesity.” The Chef and Child Foundation have been developing programs to stimulate grass root efforts to be led by chefs in communities across America.